Thought you’d enjoy a few of the pics I shot on the road these past weeks. Am still trying to move in and catch up here in SF. Being gone seven months sure makes returning a bit more dramatic! 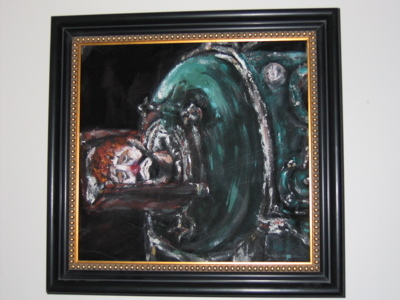 Um, this was hanging on the wall at my co-worker Liz’ place in Des Moines. Too funny to not document! 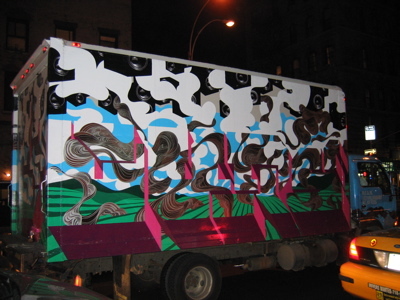 A rad graffed truck in NYC. Don’t usually shoot these, but liked the style on this one. 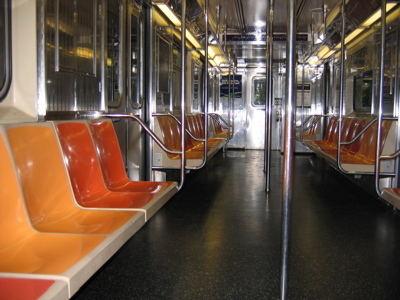 Wow, an empty NYC subway train. Had to shoot this and guess I’m getting into the absence of life as a theme (note, the empty school hallway as a banner pic). Central Park in the late Fall. I shot this pic just as my batteries ran dry. My second set was dry too (a first), so I spent the day photoless. I survived!